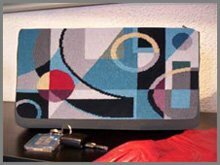 Are you looking for timeless needlepoint designs that suit your contemporary lifestyle? Are you looking for up-to-date graphic designs, easy to stitch, that will coordinate perfectly with today's interiors and fashion? 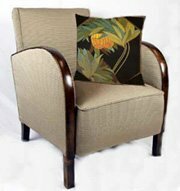 Our ZIVA Needlepoint Designs creations, hand-painted on canvas, will interest you! 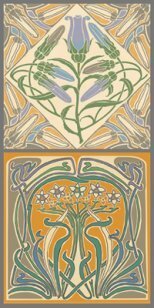 ...to a very bold Arts and Crafts Celtic-influenced area rug called KNOX'S KNOTS! 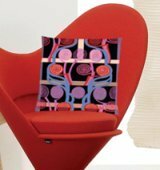 from wall art, area rugs and seat covers to smaller designs like cushions and table runners. dynamic accessories that you can add to your basic wardrobe. Variety and unique designs which would not become outdated. Or not be too expensive. I HOPE YOU ENJOY OUR CREATIONS! MY FRENCH COUNTRY ORCHARD SERIES……. To keep up-to-date with our latest designs, why not subscribe to our VIVA ZIVA! Newsletter with a free needlepoint design in each issue? Si vous parlez français, veuillez me contacter. 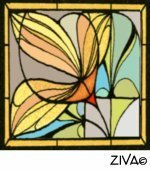 This ZIVA SiteSearch page will help you find specific information about a ZIVA design, or a particular stitch or how to finish your needlepoint project. ZIVA :A Needlepoint Design Site with a Difference! What is ZIVA all about? 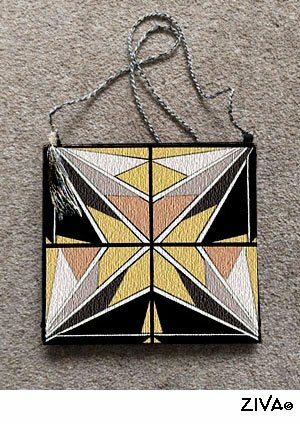 This needlepoint design site is about contemporary designs inspired by the iconic Design Movements of the 20th century. I’m proudly showing the beautiful needlepoint tapestries you stitched. Thank you for your kind testimonials! Subscribe to the free VIVA ZIVA! 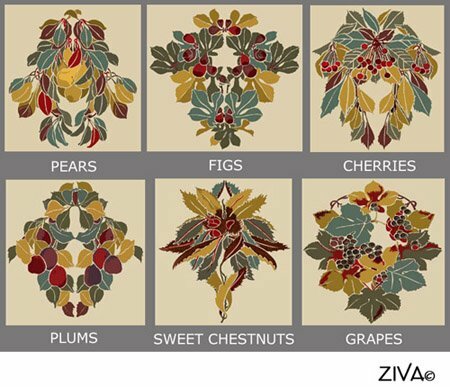 Newsletter to get up-to-date news on the latest ZIVA creations, including a free needlepoint design! These free needlepoint designs are designed exclusively for the free VIVA ZIVA! Newsletter. Subscribe now! What's New at ZIVA ! 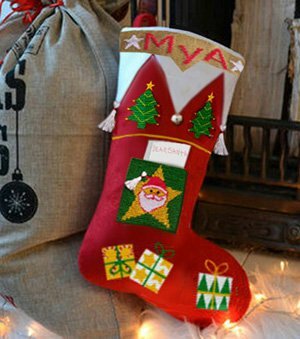 What's New at ZIVA Needlepoint Designs! We keep you up-to-date with all the additions and changes, and exciting new designs! 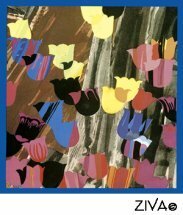 NEEDLEPOINT ART WITH PAINTERLY STYLE! 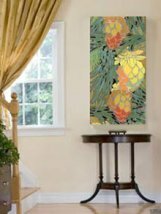 ZIVA presents a unique collection of needlepoint art inspired by the abstractionist art movements from the early 20th century and created in a painterly modernist style. A timeless collection of needlepoint carpets inspired by the iconic design influences of the 20th century, from Art Nouveau to Art Deco and more. Timeless designs that work well in today’s homes. These cushion designs are so different that you’ll give needlepoint cushions and pillows a second chance! 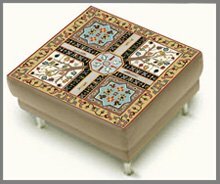 A wonderful variety of designs of needlepoint footstools on offer for your next stitching project! There’s one waiting for you! 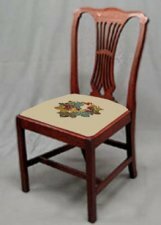 You will find these creative designs for needlepoint seat covers, whether classic or contemporary, will add a distinctive touch to your home. 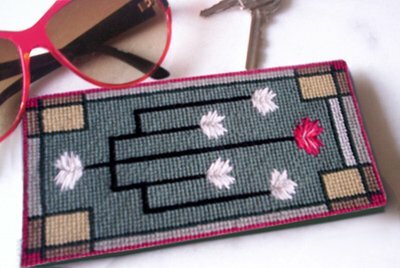 NEEDLEPOINT TABLE RUNNERS FOR ALL SEASONS! Elegant needlepoint table runners to decorate your table for the festive season and for other special occasions. These needlepoint tea cosies are ideal designs for beginners or for busy women looking for a small project to stitch. 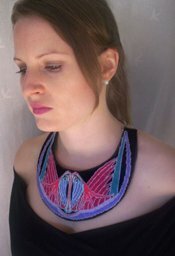 In vogue needlepoint collar necklaces from ZIVA will dress up your basic wardrobe with style! CHIC NEEDLEPOINT BRACELETS FOR ANY OCCASION! These stylish needlepoint bracelets are easy to stitch and fun to wear… with minimum sewing! 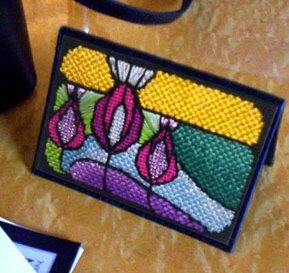 ZIVA's needlepoint clutch bags add a unique touch to your basic cocktail dress and evening wear. 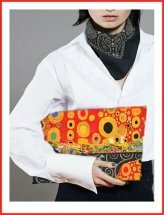 Classic designer needlepoint handbags and purses from ZIVA created for today’s lifestyle. Small Cases for your Cell Phone and other stuff! These charming small cases are perfect for your cell phone, eyeglasses, keys, change, credit cards, etc. You name it! With ZIVA Needlepoint Kits, we provide easy-to-follow hand-painted canvases on quality evenweave canvas or charts PLUS full stitching instructions, and making-up suggestions. NEW! Shopping page for dynamic Collar Necklace Designs, Bracelets, Cellphone Cases and Small Purses Designs in Chart format. 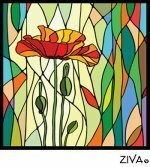 Go Shopping for Hand-Painted canvases with ZIVA Needlepoint Designs! Shopping pages for exquisite individually hand-painted needlepoint designs ready for you to stitch! Give that special someone a ZIVA Gift Certificate! 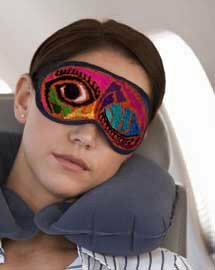 They can choose a tapestry that will give them stitching pleasure for months to come and will last a lifetime! Ziva Needlepoint Designs outlines the terms and conditions for the services we provide. All you need are these basic needlepoint stitches to create most needlepoint projects! Helpful tips and steps on how to do needlepoint projects from start to finish! Learn how to block your tapestry and check out our finishing and sewing needlepoint experiences. A helpful guide to the basic needlepoint supplies you’ll need…from canvas, and yarn to needles and scissors. Learn also about what lighting and needlepoint frames are available. Share your needlepoint tips or techniques with our visitors! Let's learn from one another and also help give our fellow stitchers a more pleasurable stitching experience! Contact us with any questions or comments about our ZIVA Needlepoint Designs! Coming soon... the next VIVA ZIVA! Newsletter, with a free needlepoint design! So get in touch! 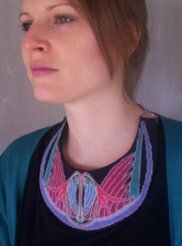 Contactez-nous en français pour poser des questions ou faire des commentaires à propos de Ziva Needlepoint Designs! Answers to your frequently asked questions will help you and hopefully encourage you to give needlepoint a try. You won’t be disappointed!